Let’s continue our conversation about the Brunton Pocket Transit. In the past we’ve talked about how useful the pocket transit is, some of the different models available, and I’ve touched on some Brunton-related web resources. 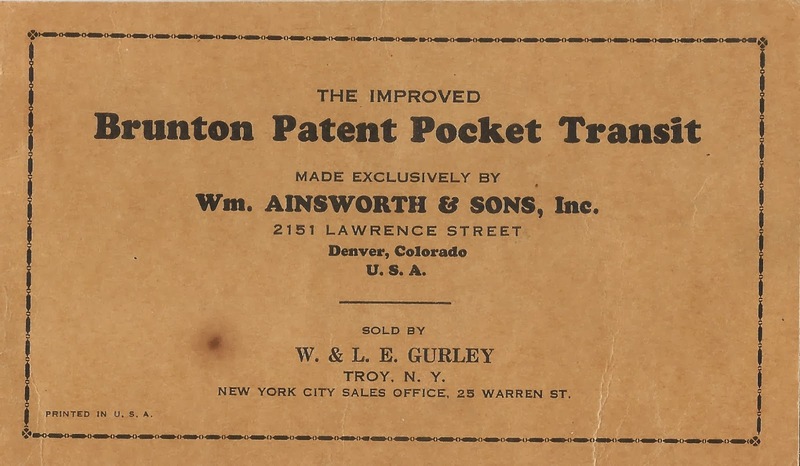 So today let’s take a look at a small brochure that William Ainsworth & Sons (the manufacturers of Brunton pocket transits for most of the 20th Century) used to make available to pocket transit customers. 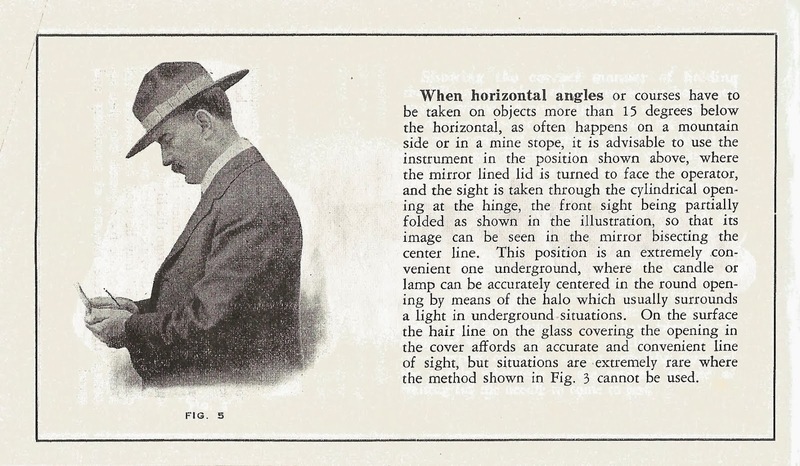 This particular little booklet was published in 1929, but the illustrations look somewhat older than the late 20’s, so I’m guessing this is a reprint of an earlier brochure. The brochure is small – just a bit larger than a 3″ x 5″ index card and it’s only 21 pages. 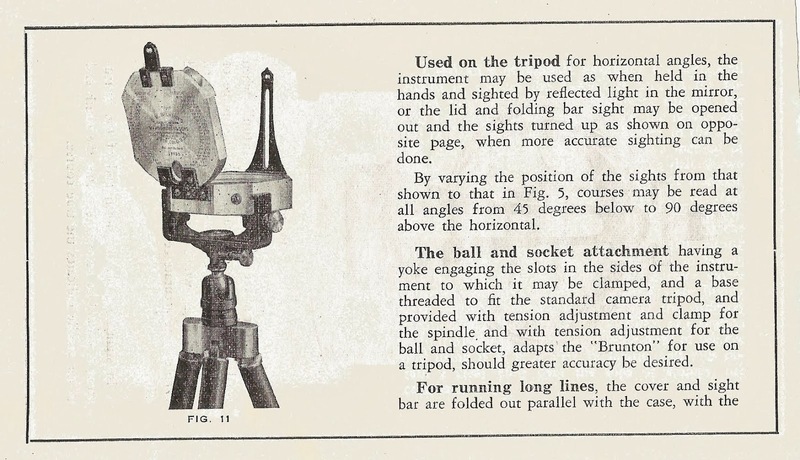 It’s an extremely useful little book, because it covers in some detail the different ways you can use the pocket transit, whether it’s shooting azimuths, reading horizontal or vertical angles, tracing a mineral vein or using the instrument as a clinometer or a plumb. 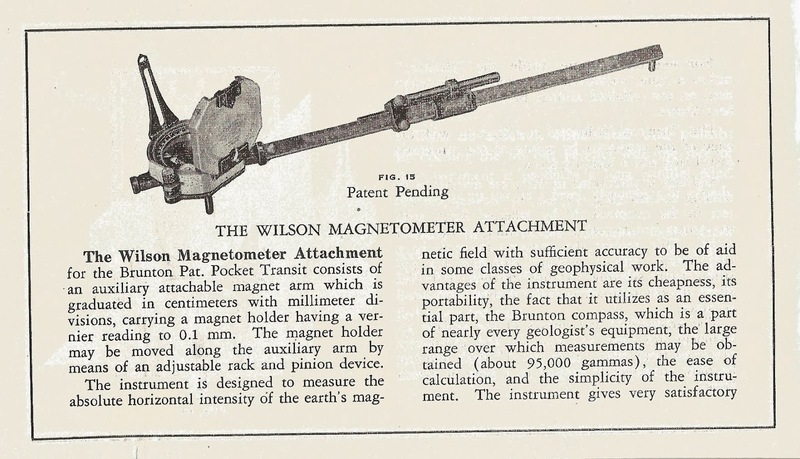 There’s even instruction on how to use the pocket transit in conjunction with the ‘Wilson Magnetometer Attachment’, a real Rube Goldberg device that is intended to be mounted to a plane table to measure large anomalies in magnetic intensity found in mineral bearing rock formations. I’ve never seen a Wilson Magnetometer in person, but I’m keeping my eye out for one! There’s a lot of useful info stuffed into these 21 pages and I thought it important to make the booklet available to the collector community. You can click here to download the pamphlet as a PDF file (about 1.6 mb). You can also access the individual pages as images by clicking here to access my Picasa site. So you Brunton fans out there, enjoy! Update! Just today I was doing a Google search on a topic related to Brunton pocket transits and I ran across an interesting booklet titled “Enterprise & Innovation In The Pikes Peak Region” published in 2011 by the Pikes Peak Library District. 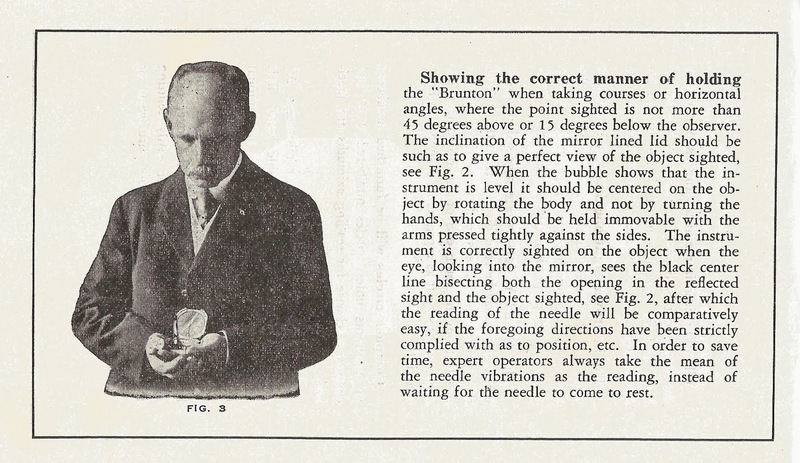 In the booklet is a very informative article about David W. Brunton, the inventor of the Brunton Pocket Transit. There’s a very good discussion about the development of the pocket transit. This entry was posted in History, Tools and tagged brunton, pocket transit by Brian Haren. Bookmark the permalink. Thank you for that wonderful booklet and for a most informative website. 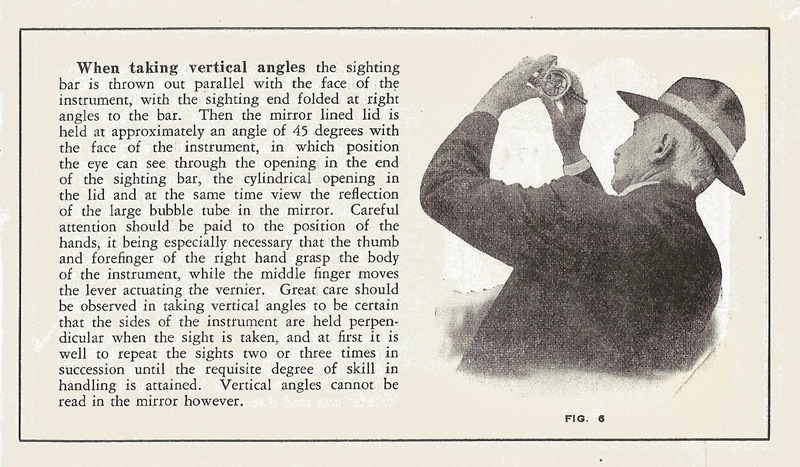 I enjoy the “old school” methods and practical knowledge (although I do own and play with a modern GPS).